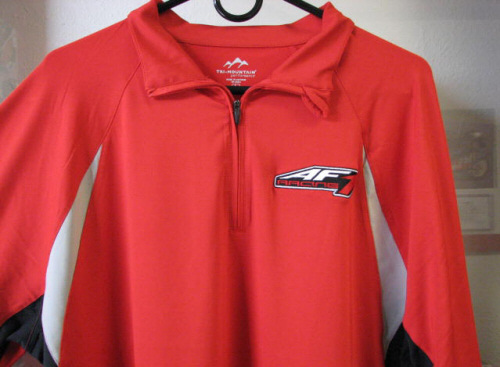 This polyester and stretchy spandex long sleeve polo shirt is fast becoming the team gear of choice at AF1 Racing's downtown Austin location. 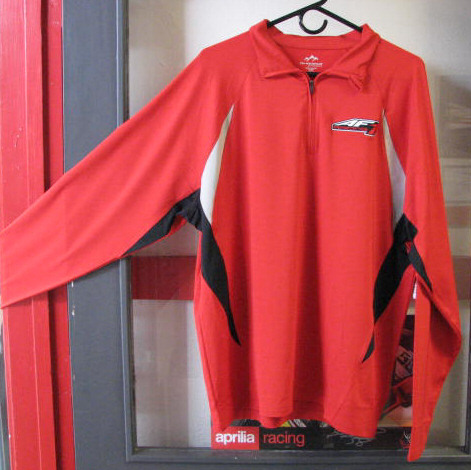 Light and breathable on hotter days while still reasonably comfortable on cold days this all use long sleeve polo is a classy way to show your AF1 Racing spirit. Shirt features one AF1 Racing embroidered logo over the LH breast. Zip-up collar. These are tailored in standard American proportions, so order in your normal size.